Porcelain veneers offer long-term treatment of cosmetic issues and minor dental damage for a flawless looking smile for many years to come. With proper care and maintenance, porcelain veneers treatment can last for well over a decade. Unfortunately, certain circumstances can lead to the need for early replacement of porcelain veneers. Replacing porcelain veneers as soon as needed can help ensure a beautiful smile and prevent dental damage. Drs. Steven M. Balloch and Josh Lomke help patients understand when porcelain veneer replacement is necessary during consultations at their Hartford, CT practice. Why Do Porcelain Veneers Need Replacement? Porcelain veneers have a natural lifespan of about 10 to 15 years, though some will last longer. As veneers age, they may require replacement due to general wear or loosening of the dental cement used to bond the veneers to the teeth. However, porcelain veneers may need earlier replacement when one or more of the following issues are present. Tooth decay: Teeth treated with porcelain veneers are just as vulnerable to tooth decay as untreated teeth. Decay may develop in areas not covered by the veneer, such as the back of the tooth or at the gum line. In some cases, decay can develop beneath the veneer if the veneer is loose. 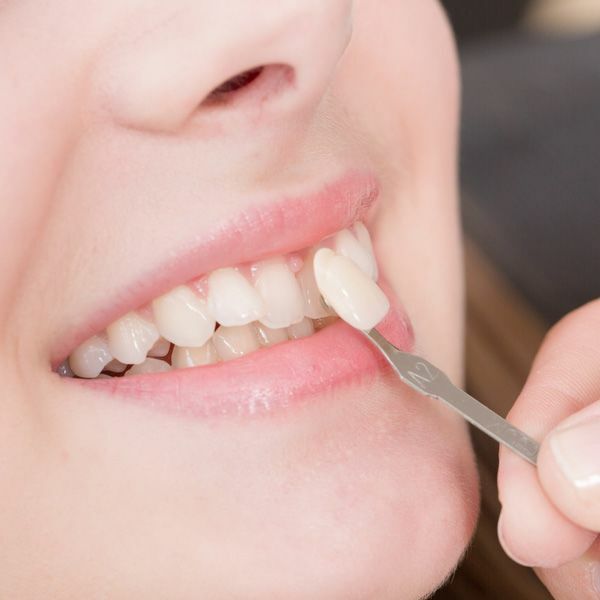 When decay occurs in a tooth with a porcelain veneer, it is often necessary to remove and replace the veneer in order to effectively treat the underlying tooth decay. Damaged veneer: Porcelain veneers are very durable, but they are not immune to damage. Veneers may become chipped, break, or become otherwise damaged for a number of reasons. Chewing on hard items, like metal pen caps or your fingernails, using your teeth as tools, or facial injuries can all lead to porcelain damage. Loose veneer: Strong dental cement is used to adhere veneers to the surface of the teeth, but over time, the bond between a porcelain veneer and tooth may become loose as a result of general wear and biting forces. If a veneer becomes loose, the veneer will need to be replaced to protect the health of the underlying tooth and ensure the smile's beauty. Technicolor teeth: “Technicolor teeth” refers to a condition in which the color of the porcelain veneers no longer matches the color of the surrounding teeth. This can occur over time as the natural teeth stain and discolor but the veneers remain unchanged. Undergoing teeth whitening can also lead to technicolor teeth due to the fact that veneers do not respond to whitening treatment. The natural teeth may appear the desired brightness but any old veneers will remain unchanged, leading to a noticeable difference in color. The only way to correct technicolor teeth is to replace old veneers with a new matching shade of veneers. Once a porcelain veneer becomes damaged, or the bond between the veneer and teeth becomes loose, it's important to seek porcelain veneer replacement as soon as possible. Damaged or loose veneers leave the underlying teeth vulnerable to decay as both issues expose the natural tooth to plaque, bacteria, and acids. Besides protecting dental health, replacing old or damaged veneers helps keep the smile looking at its absolute best. For more information about porcelain veneers replacement, we invite you to schedule a consultation with Drs. Balloch and Lomke.